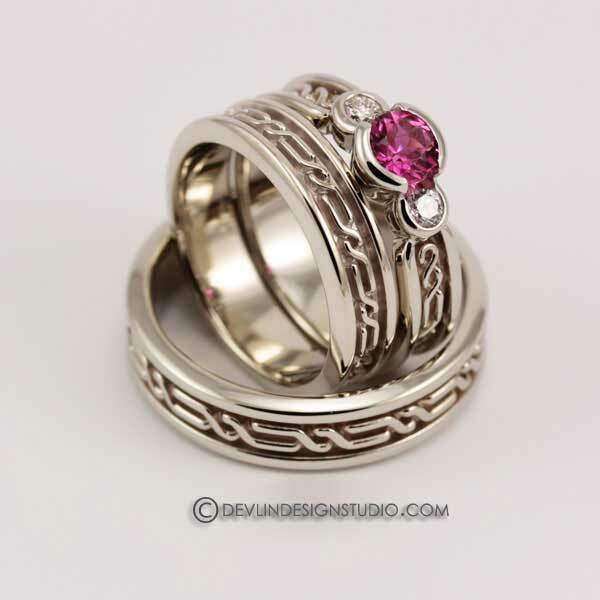 Sample of rings I have made, many past custom and special orders. 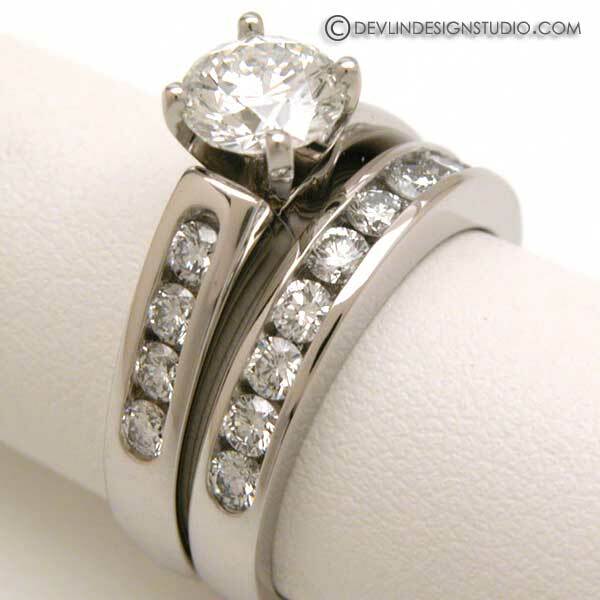 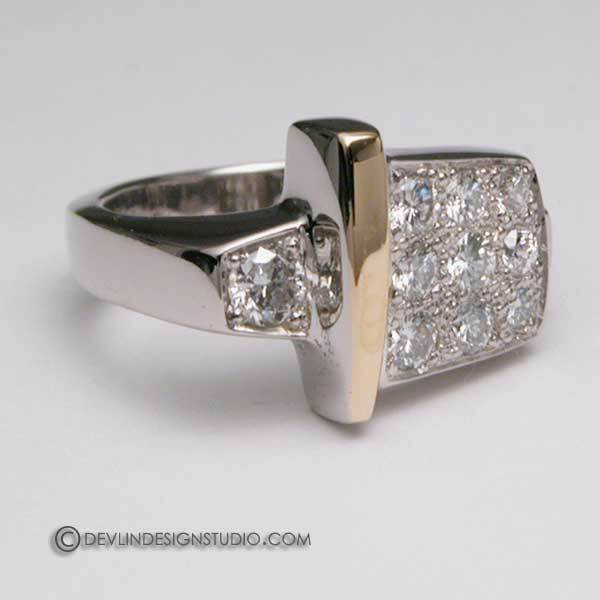 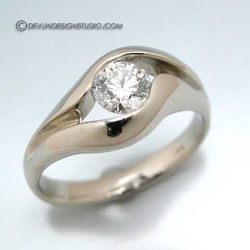 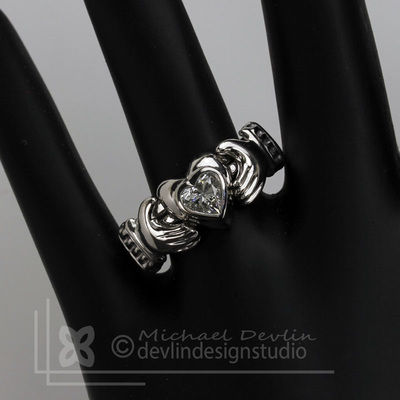 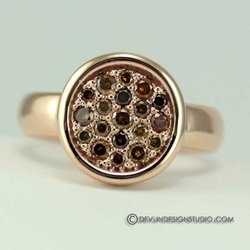 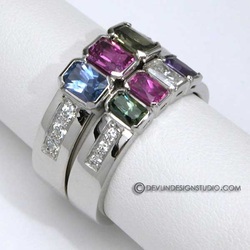 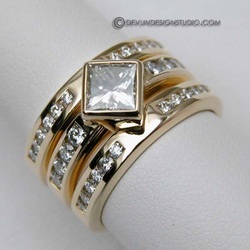 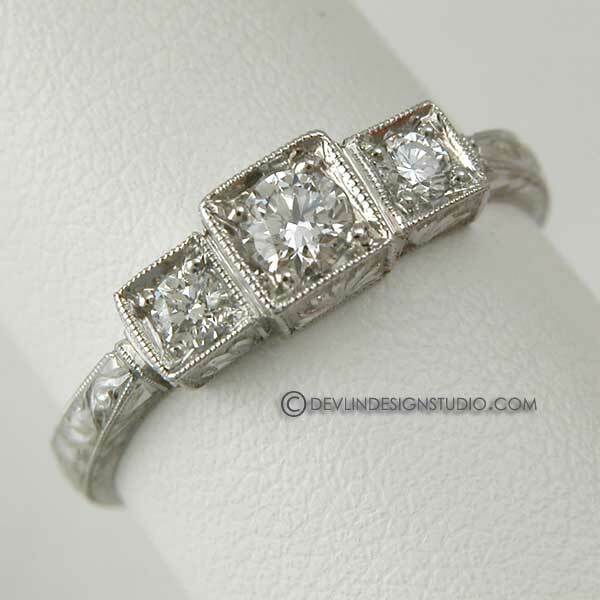 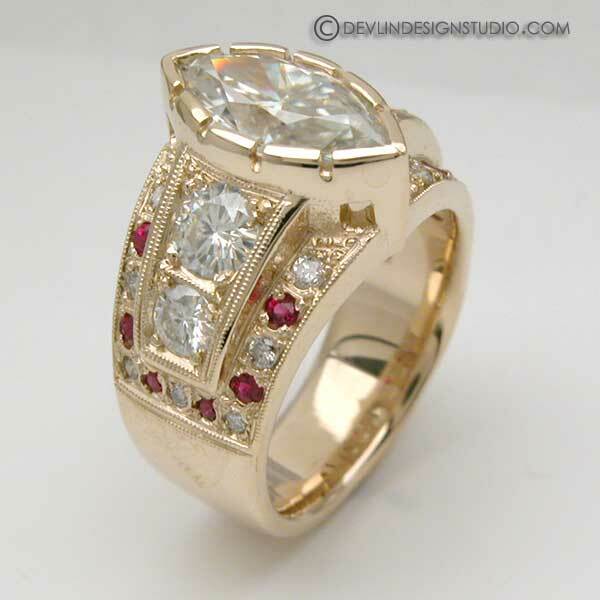 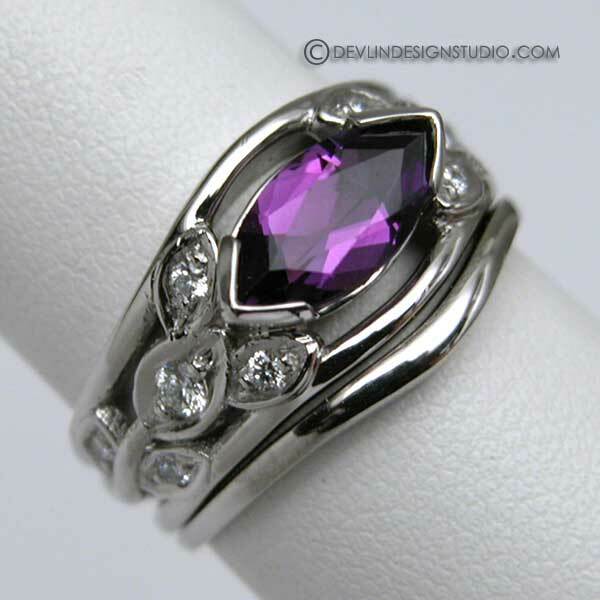 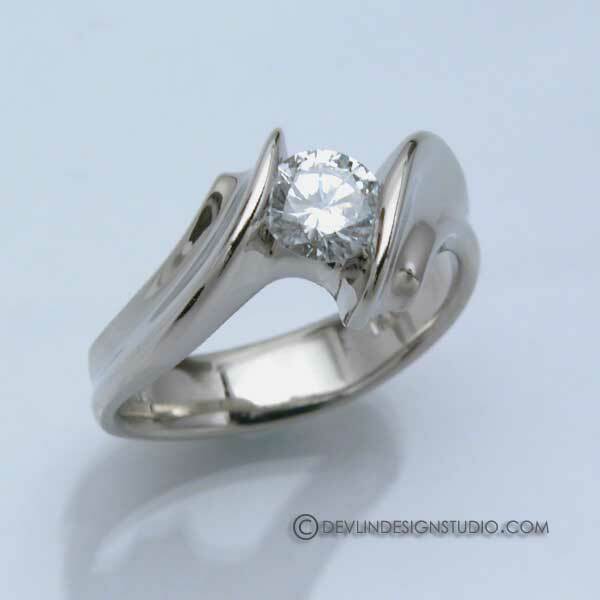 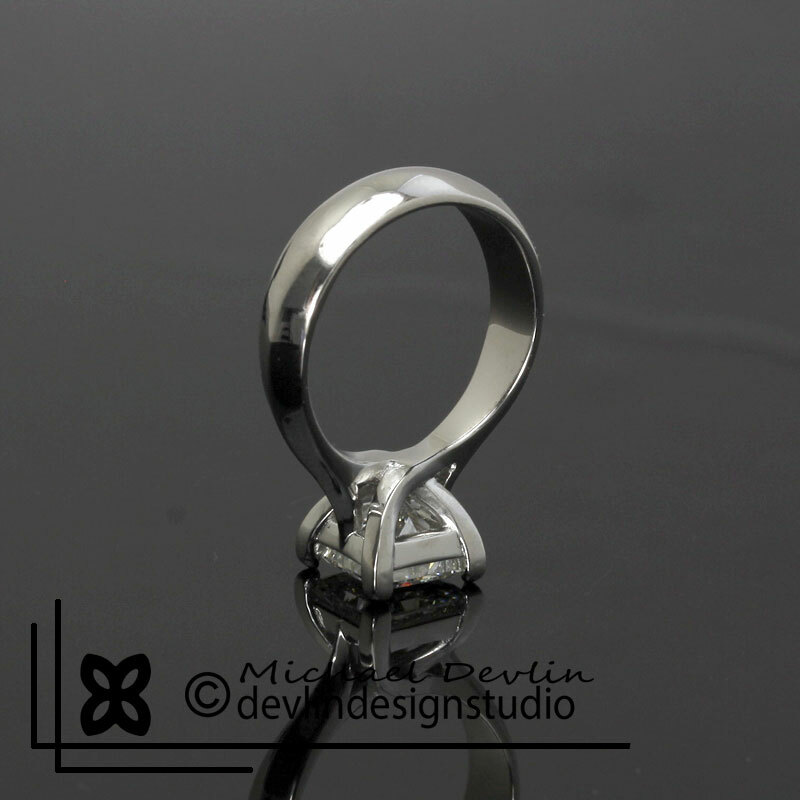 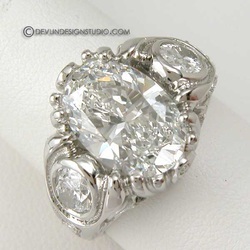 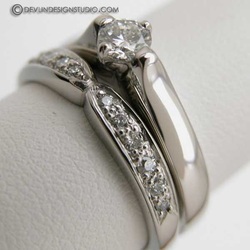 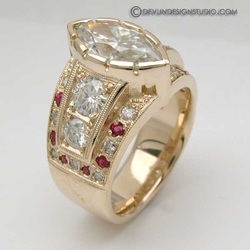 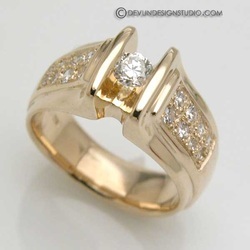 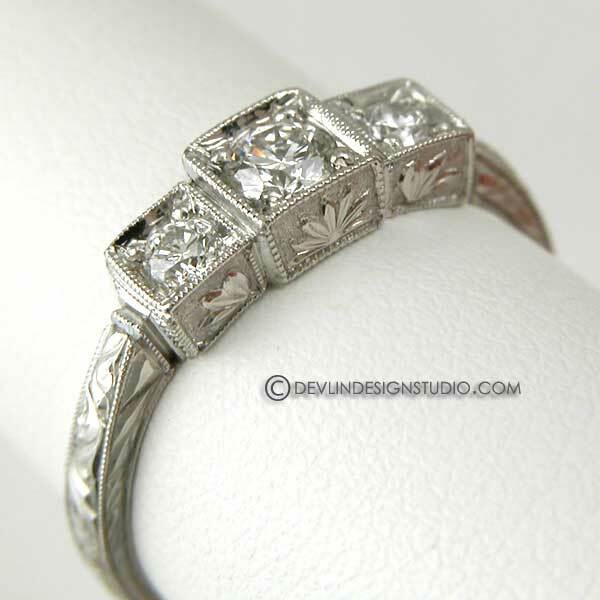 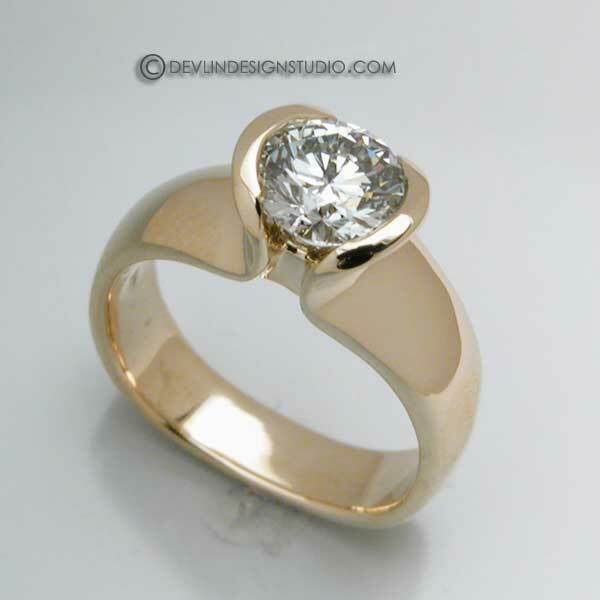 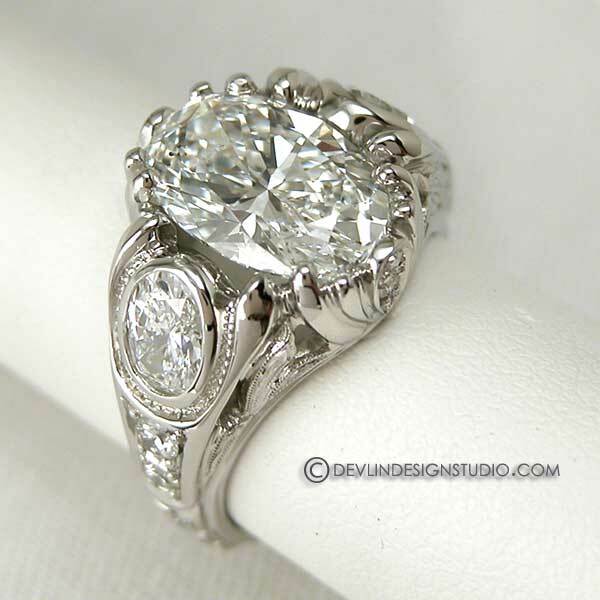 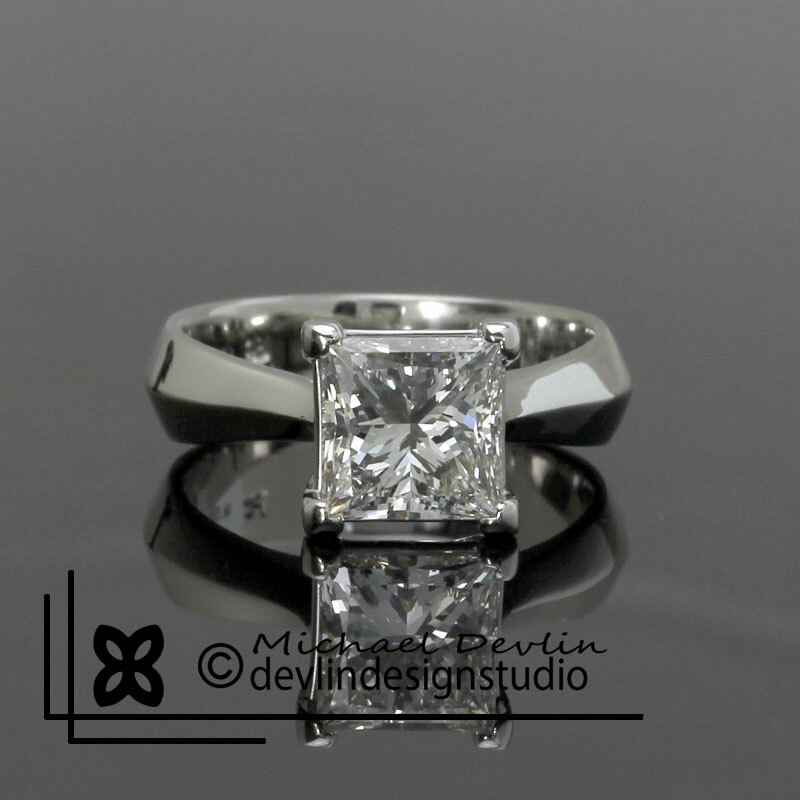 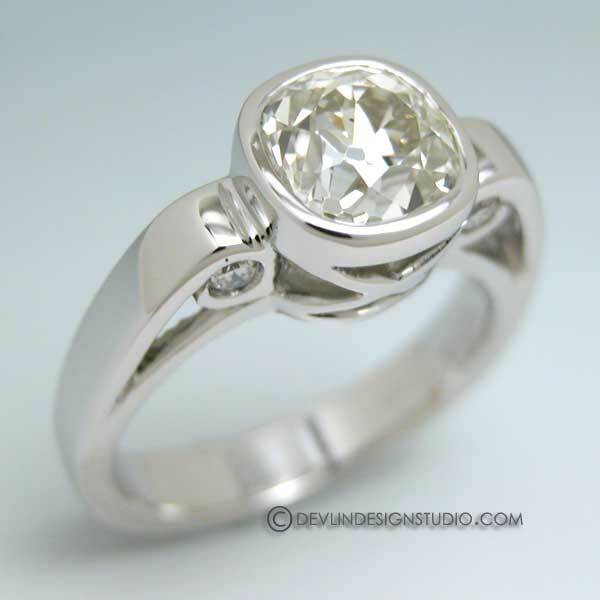 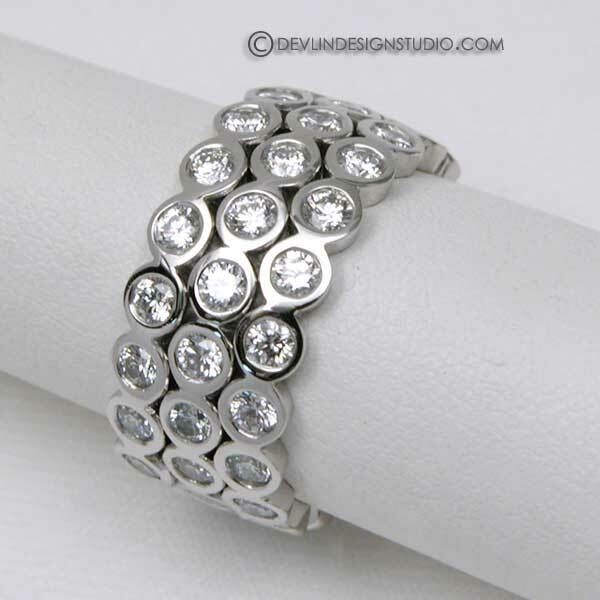 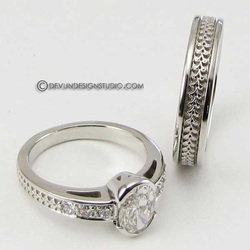 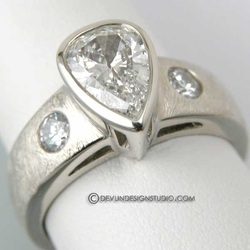 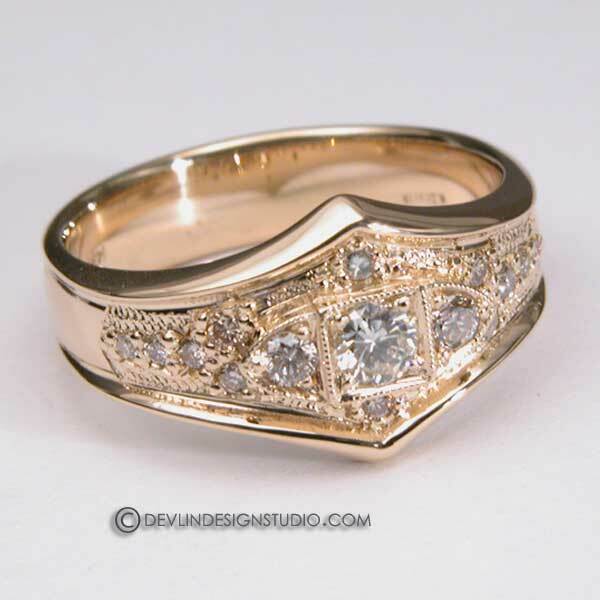 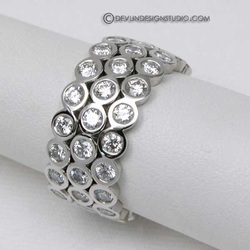 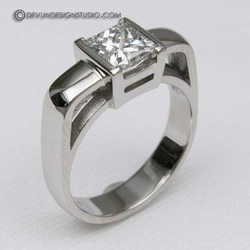 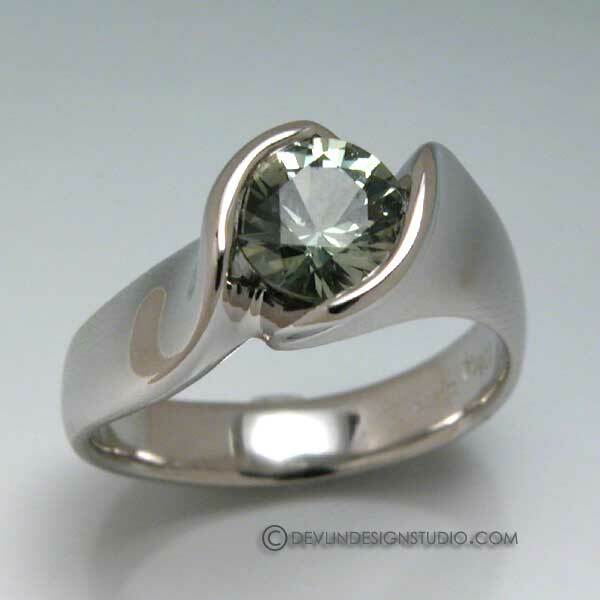 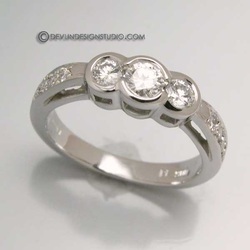 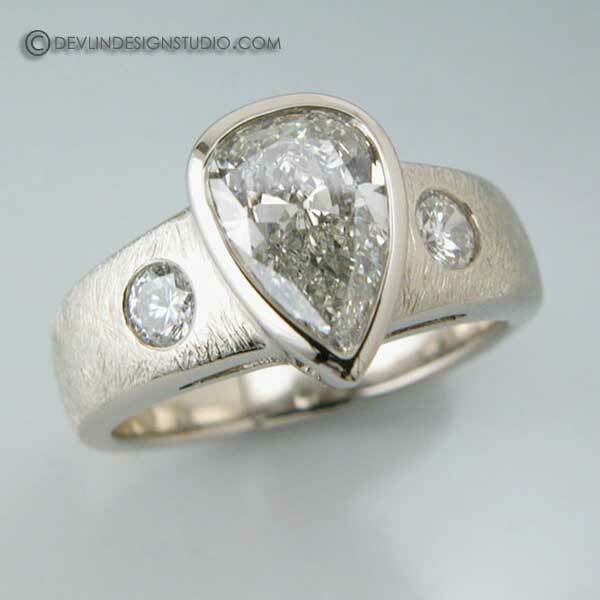 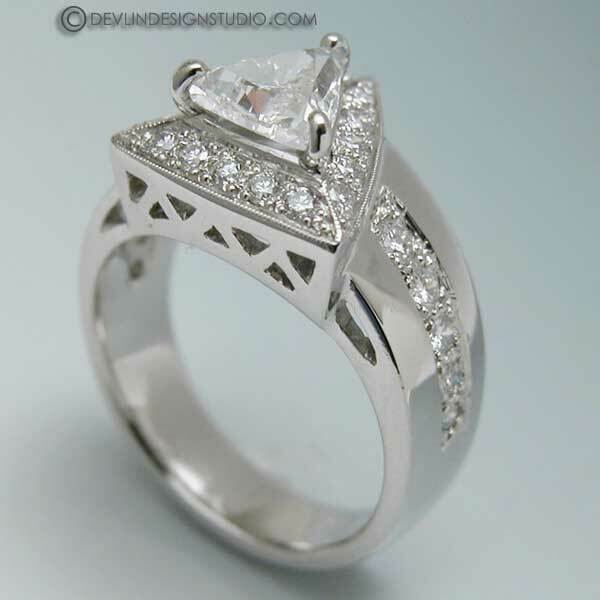 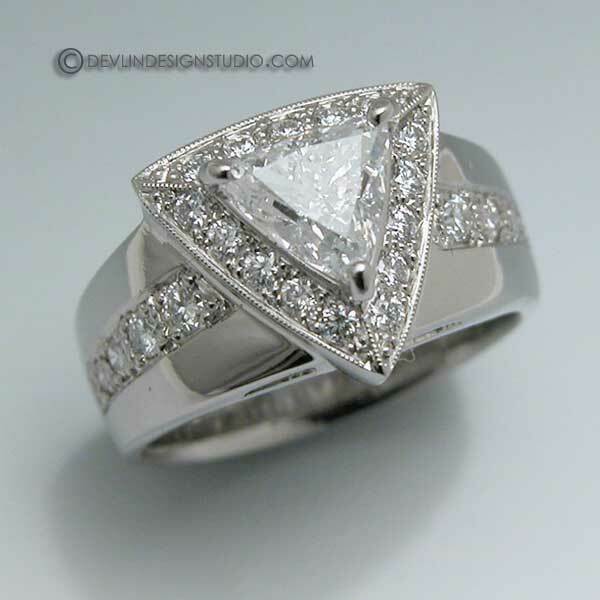 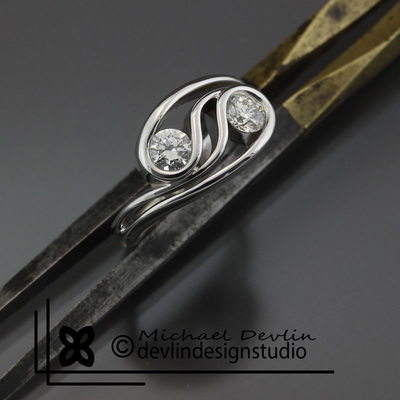 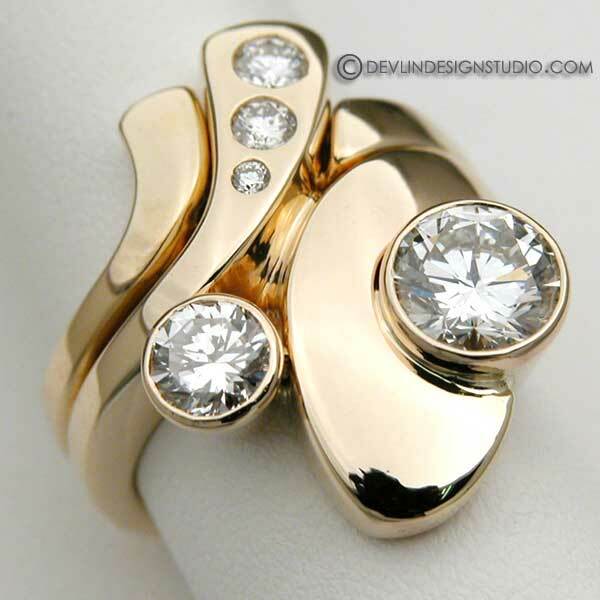 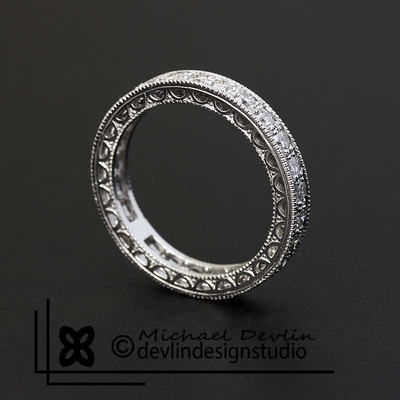 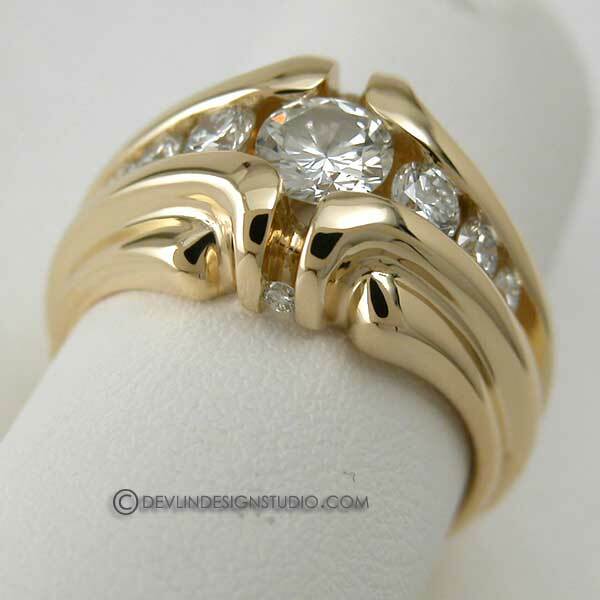 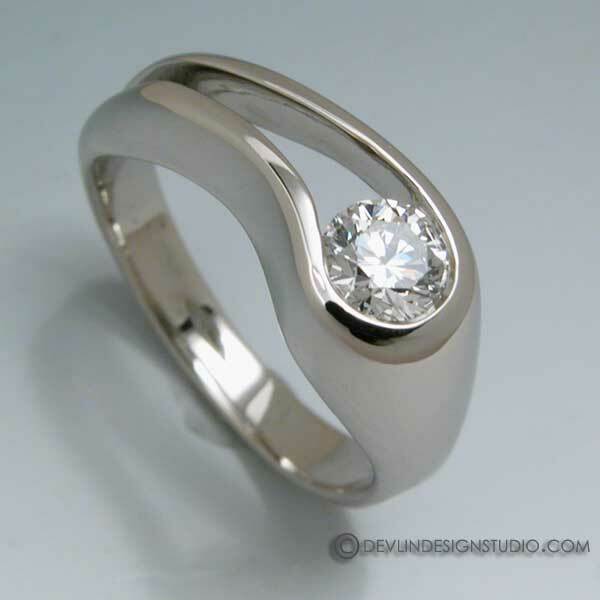 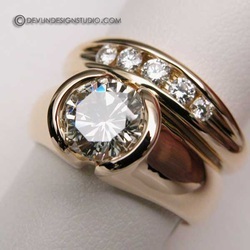 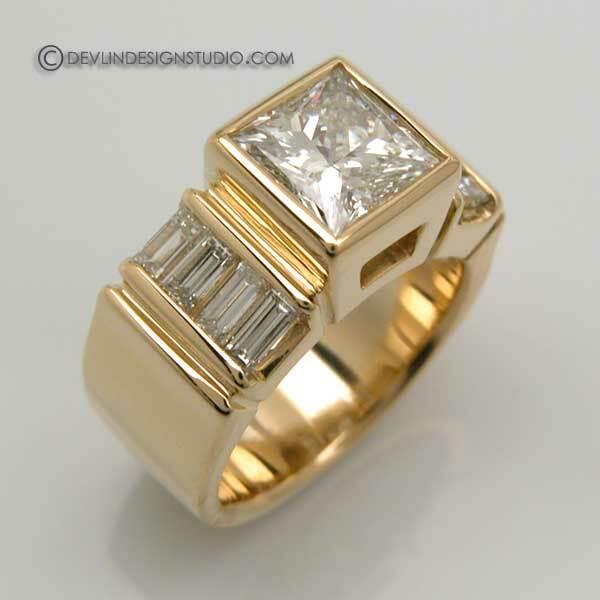 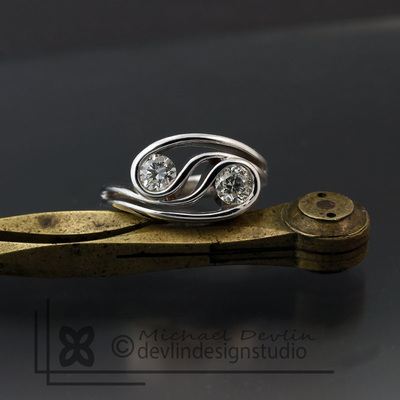 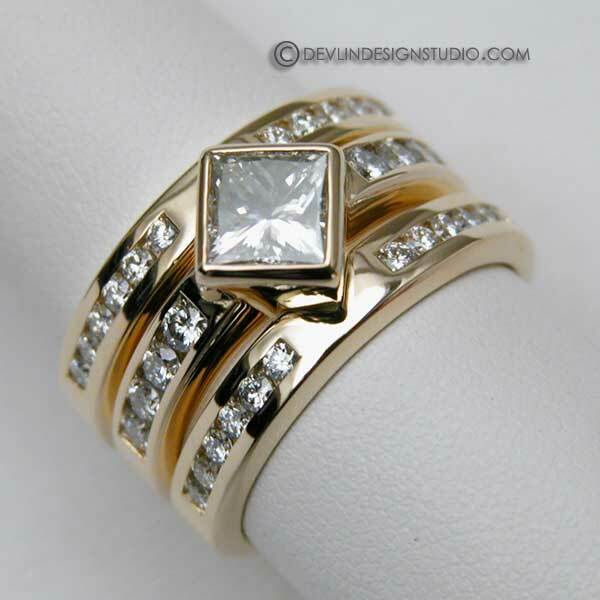 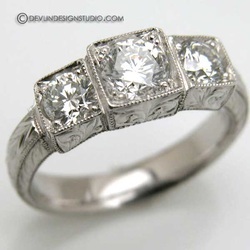 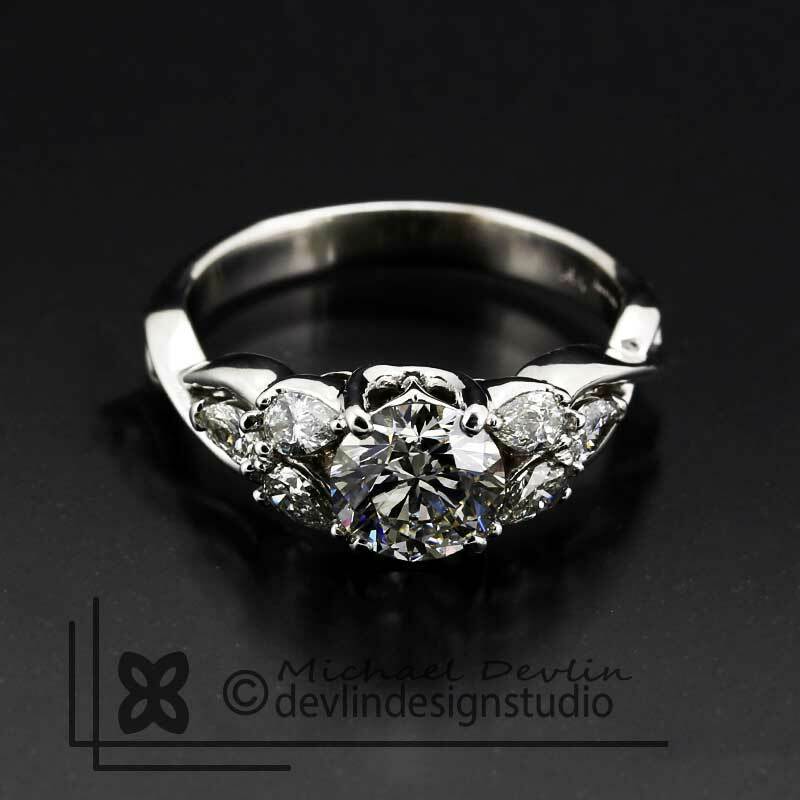 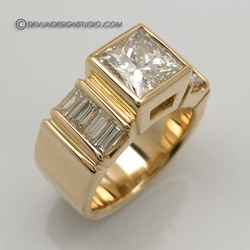 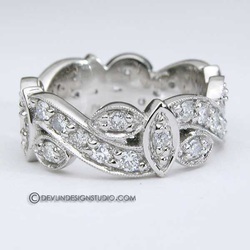 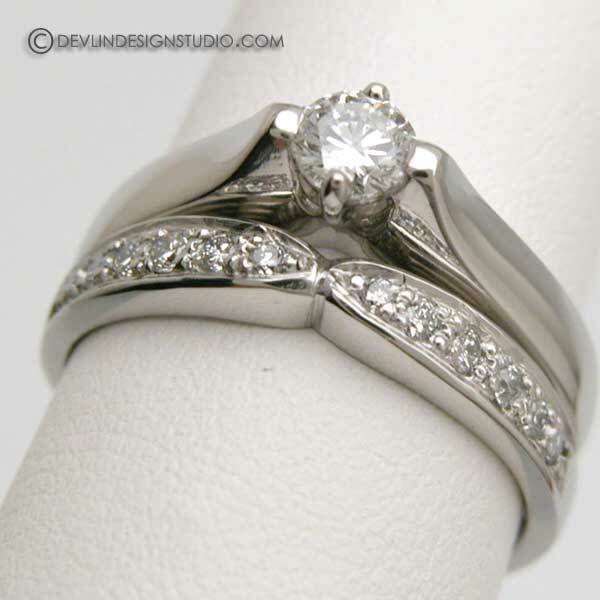 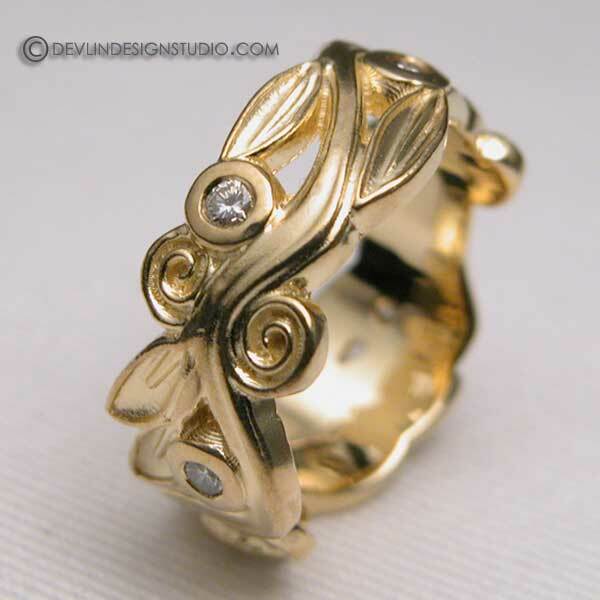 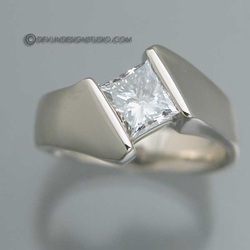 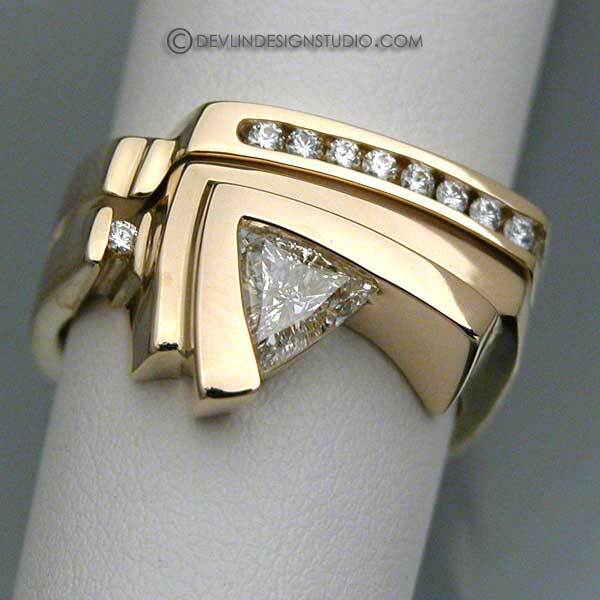 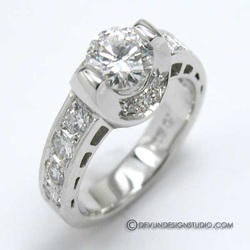 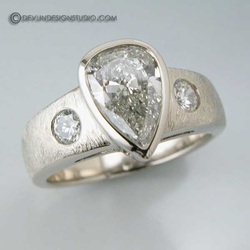 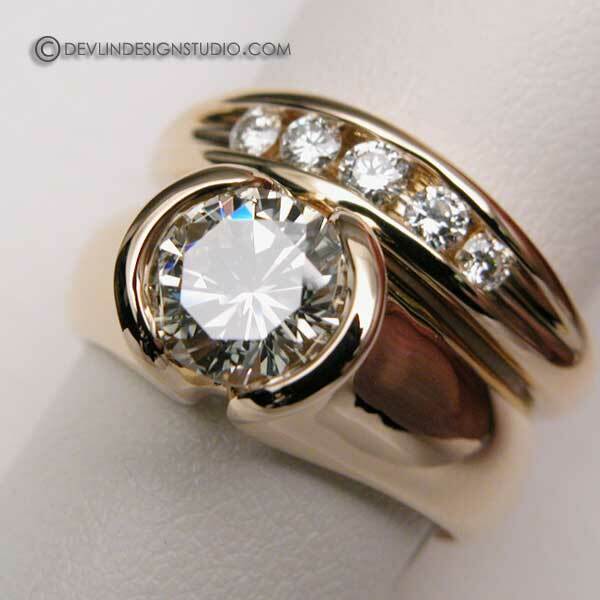 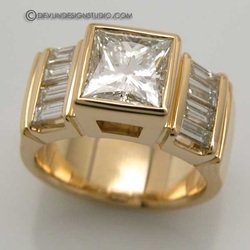 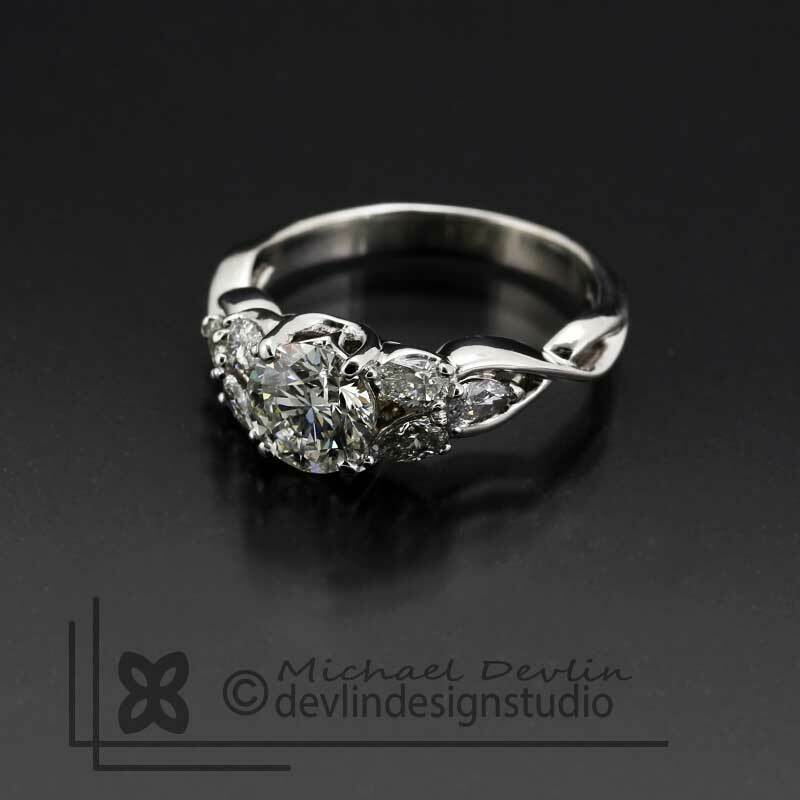 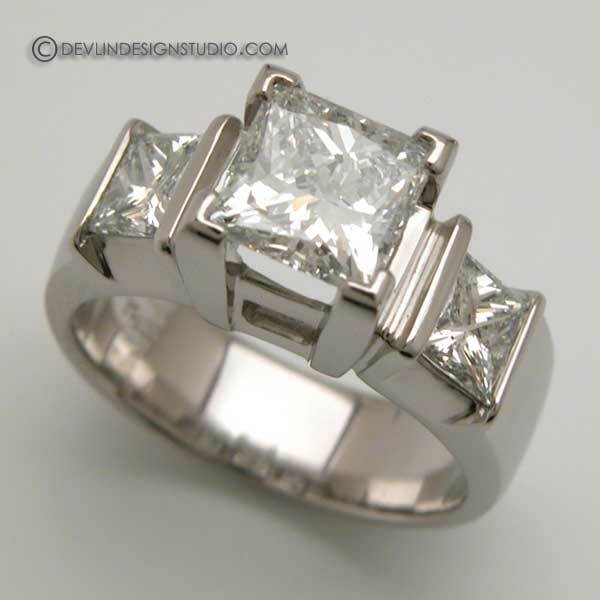 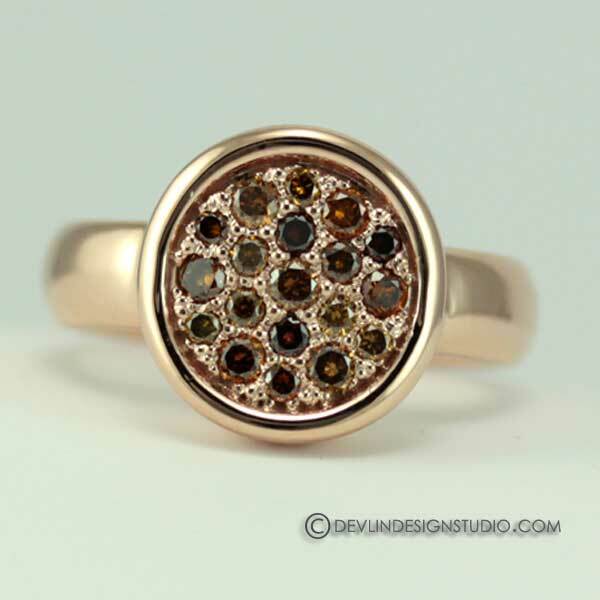 Devlin Design studio original custom made 14k white gold and diamond bypass ring. Custom made Platinum and diamond ring with micropave. 14k white gold and diamond ring with blue sapphire accent. 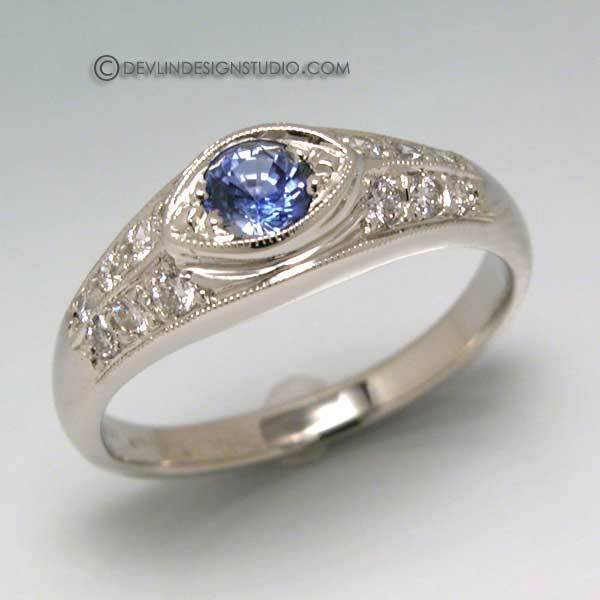 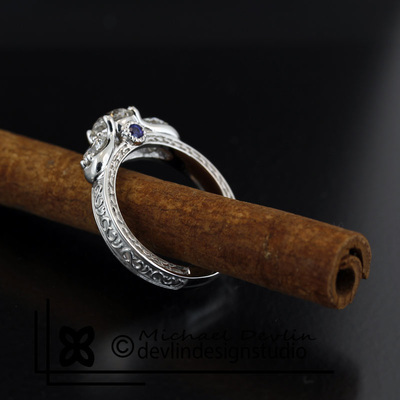 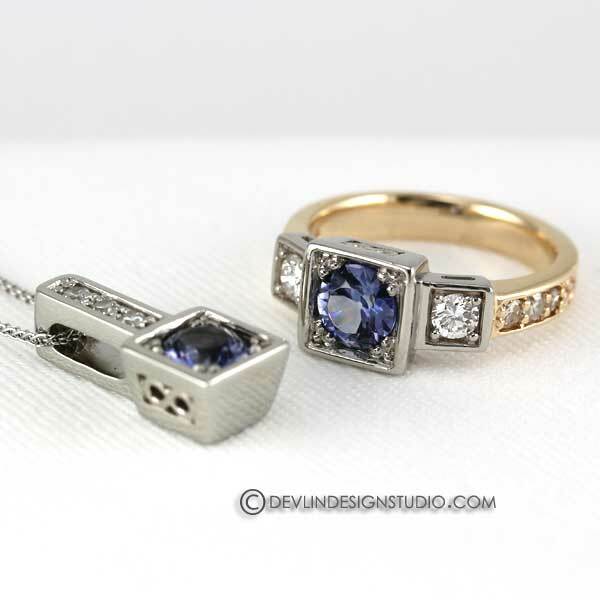 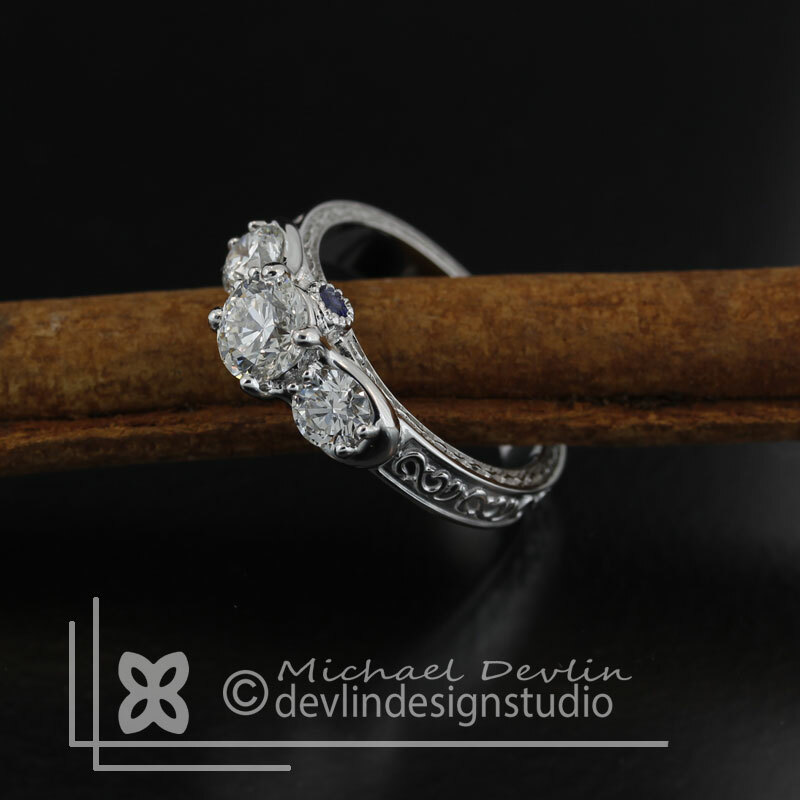 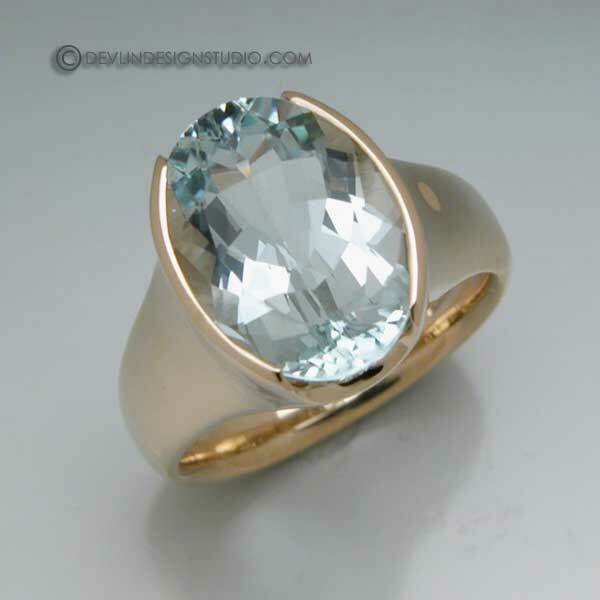 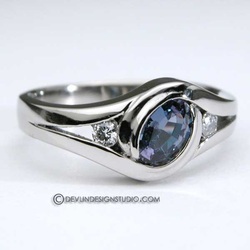 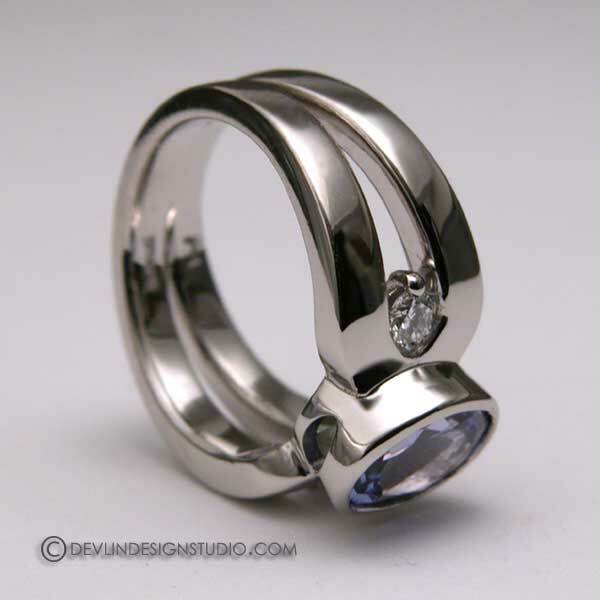 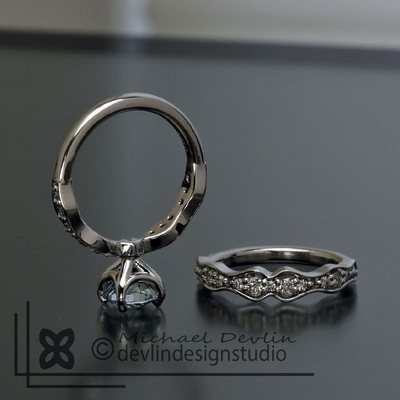 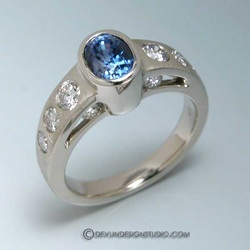 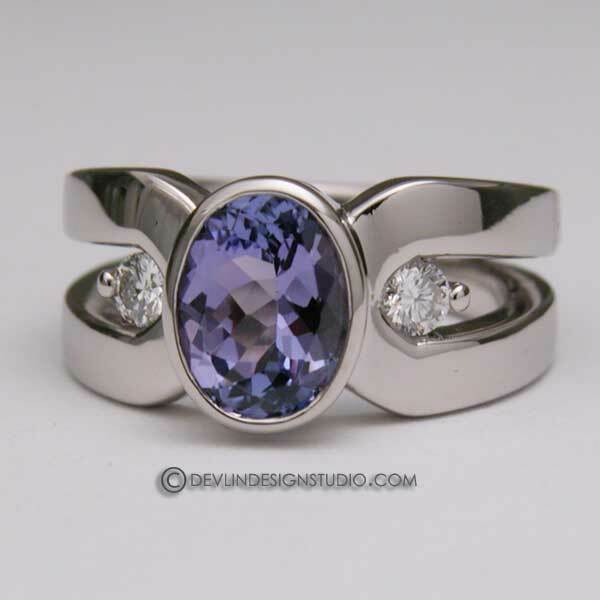 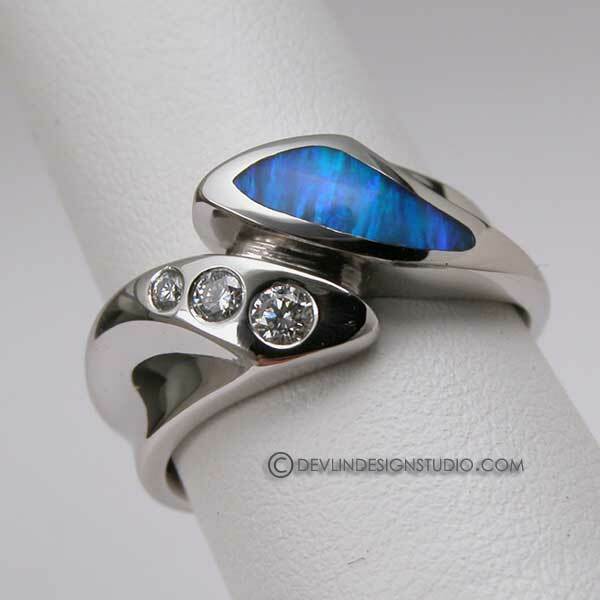 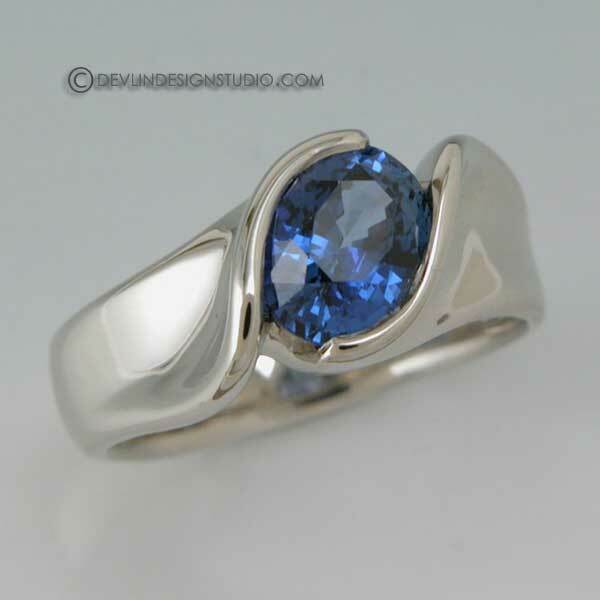 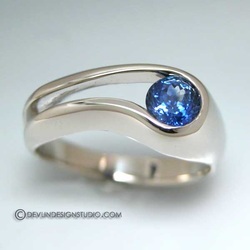 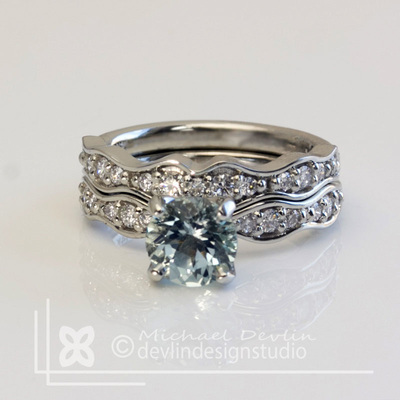 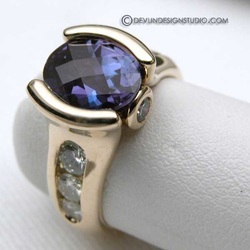 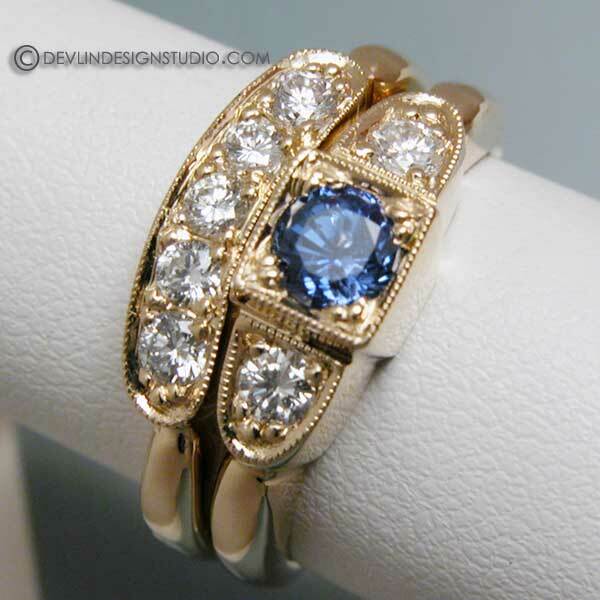 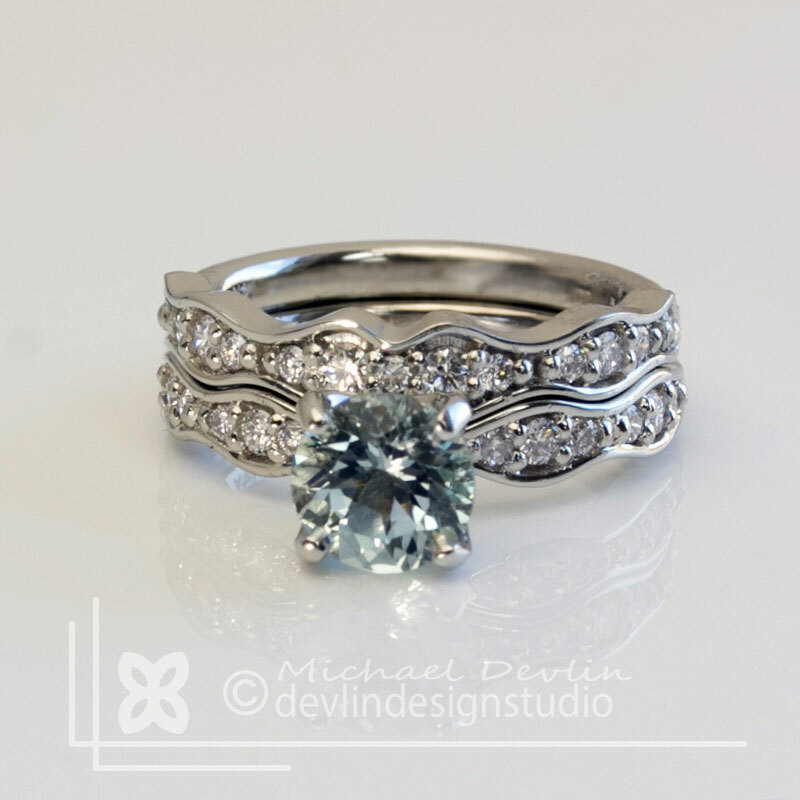 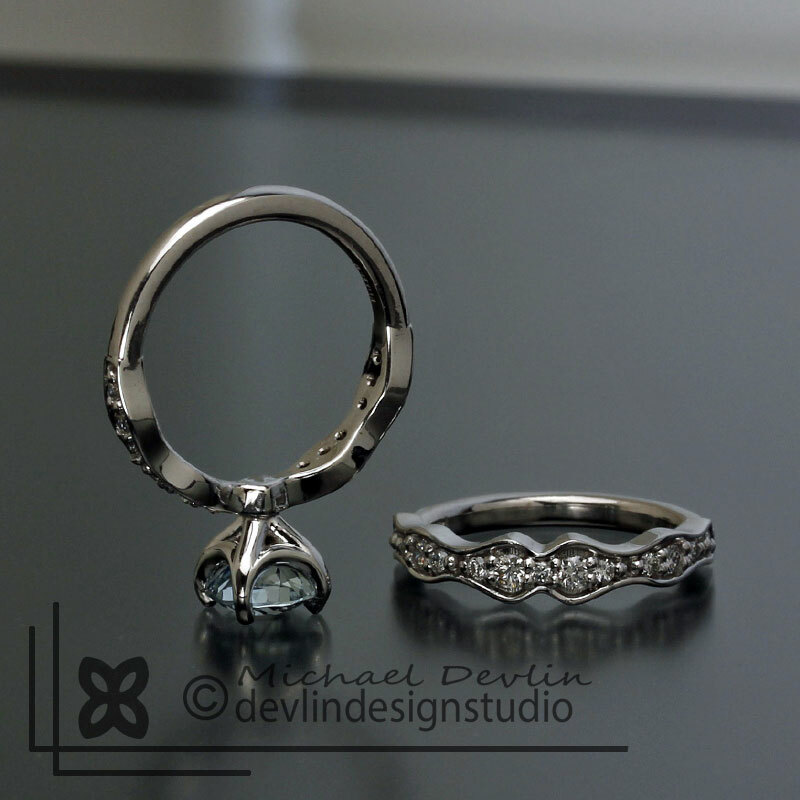 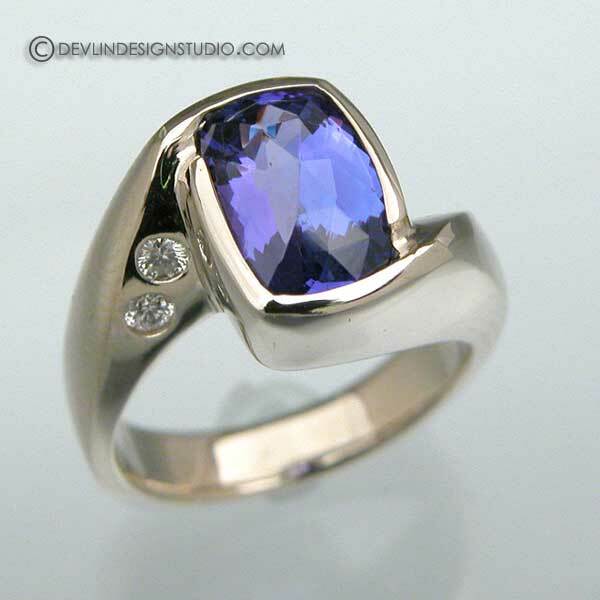 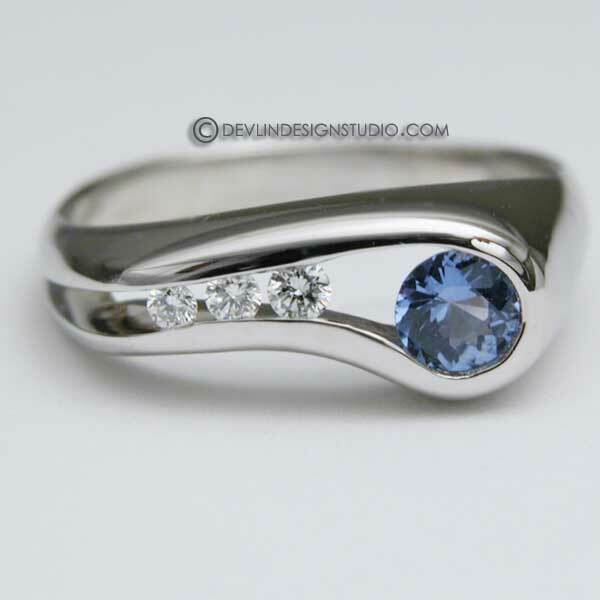 Devlin Design studio original custom made 14k white gold and diamond ring with blue sapphire accent. 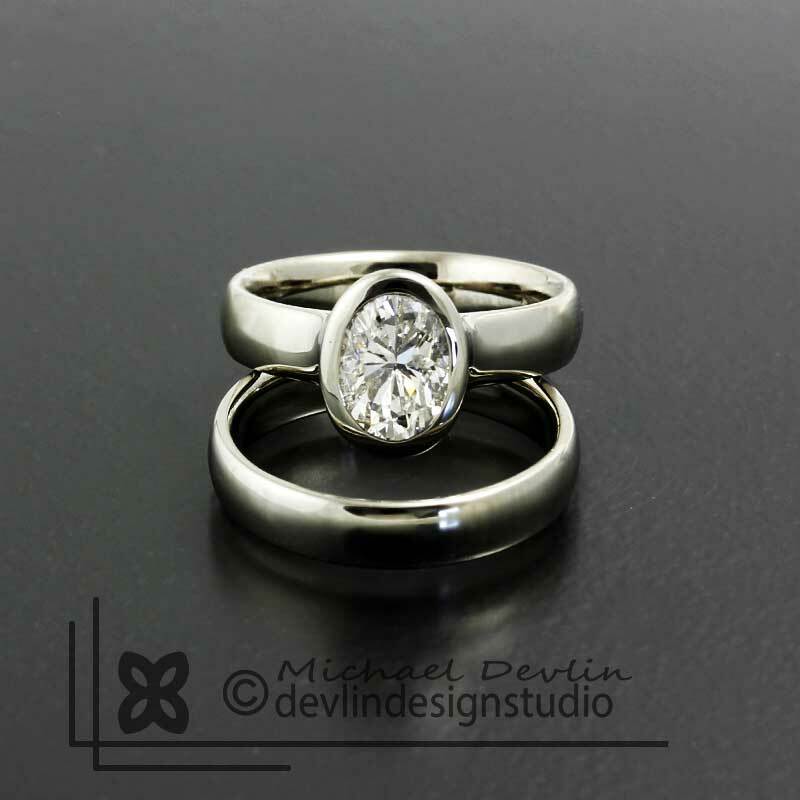 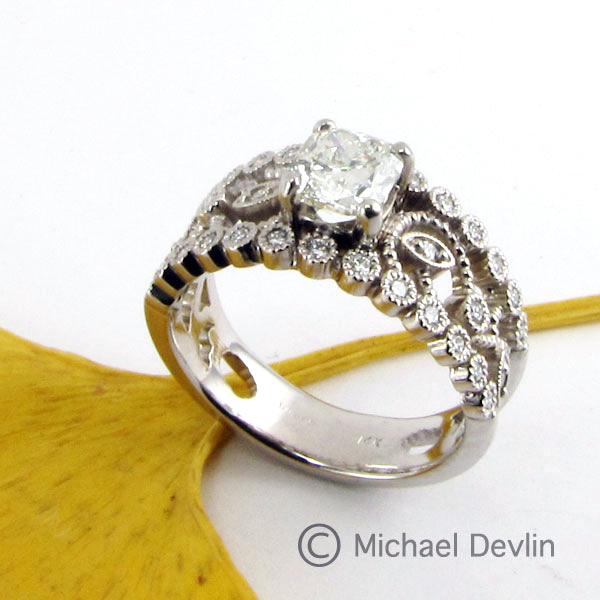 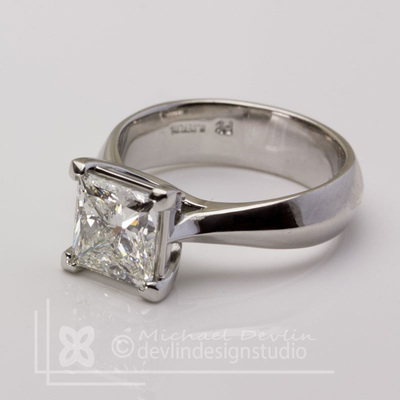 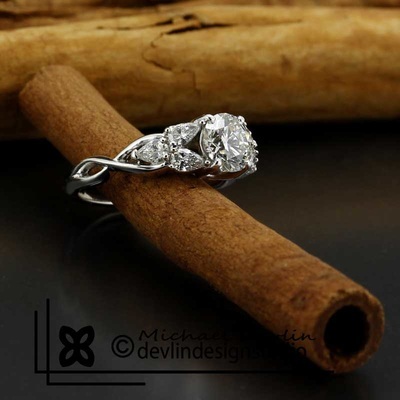 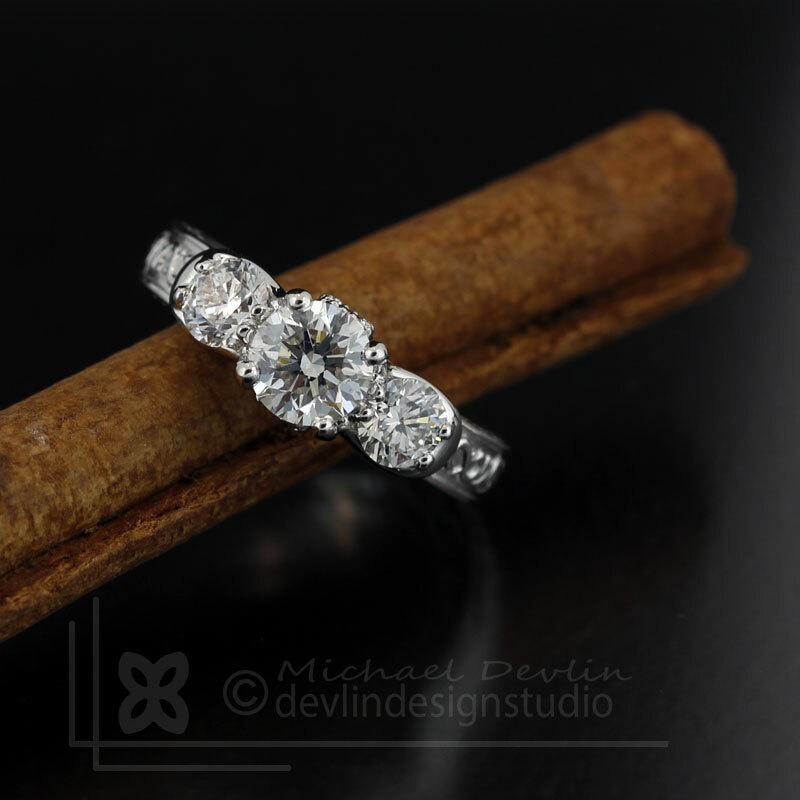 Platinum Engagement ring with diamonds, custom designed and created by goldsmith Michael Devlin in Windsor Ca. 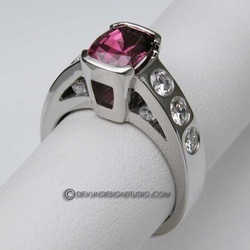 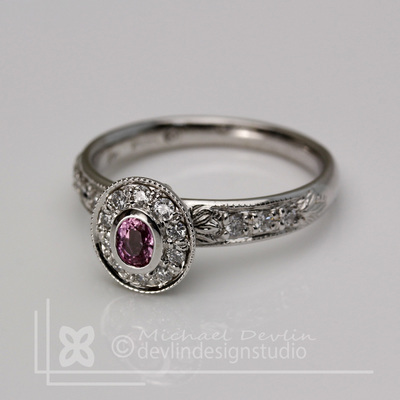 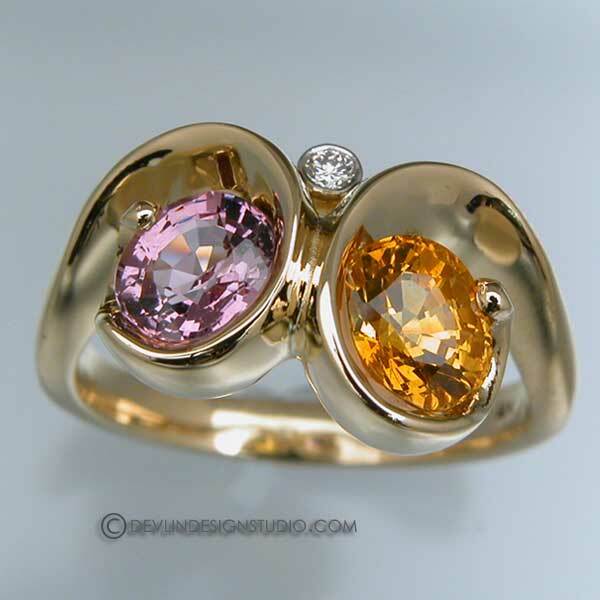 Platinum and gold with pear shape pink sapphire and round diamonds. 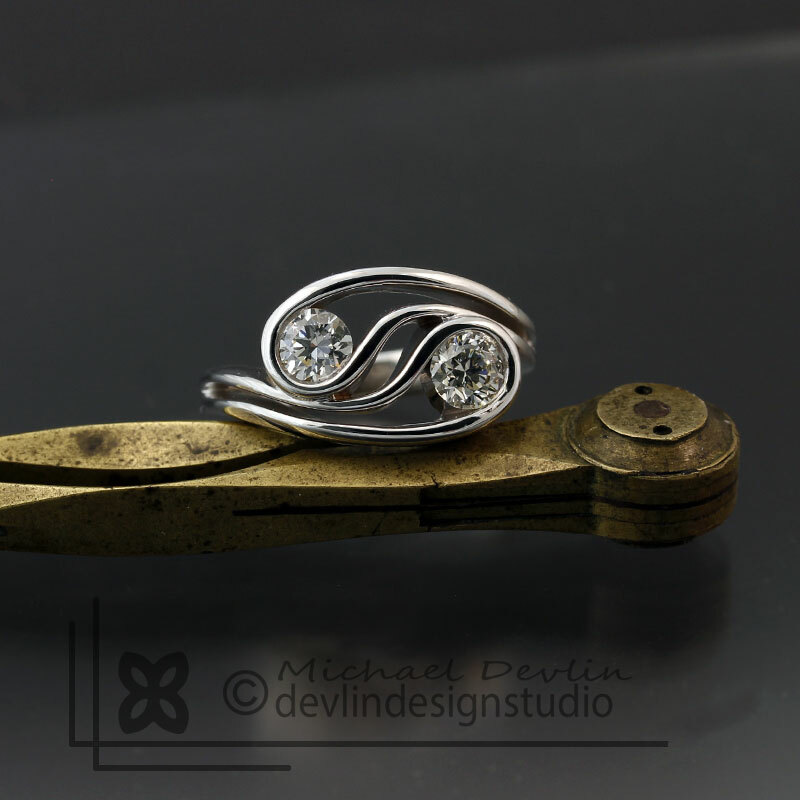 Custommade by Michael Devlin Devlin Design Studio. 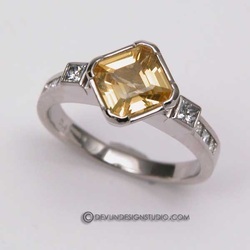 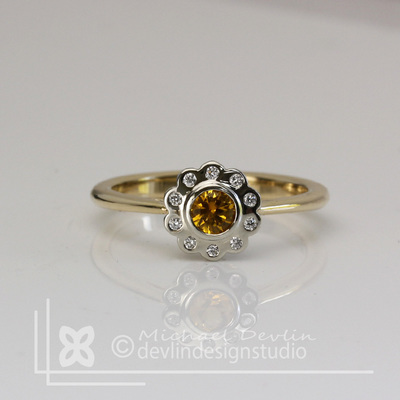 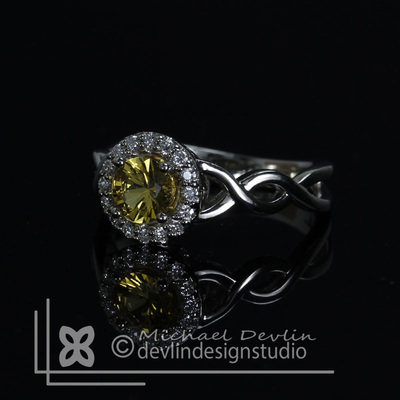 yellow sapphire set in 14k white gold halo design. 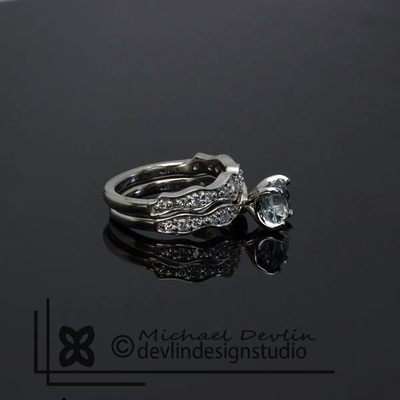 Custommade wedding set with aquamarine and diamonds. 14k yellow and rose gold ring with diamonds and blue sapphire. claddah puzzle ring with heart shaped diamond set in 14k white gold. 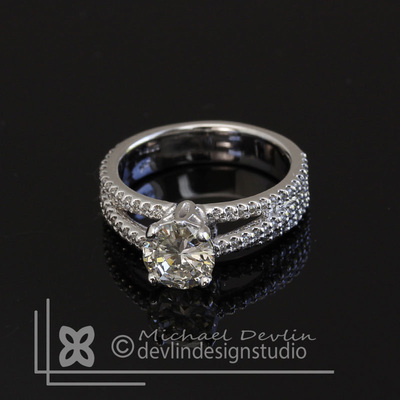 Channel set diamond ring, custom made with clients diamonds. Green sapphire set in platinum. 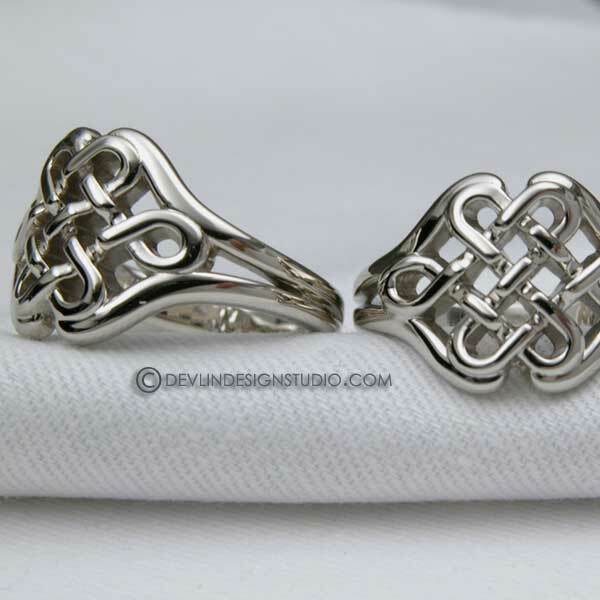 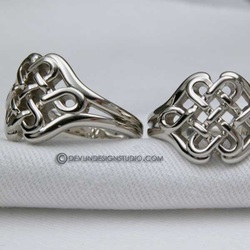 Tibetan knot design rings custom made in 14k white gold. 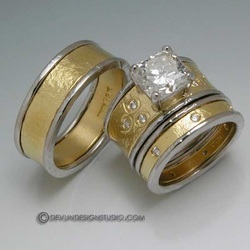 couples matching bands. 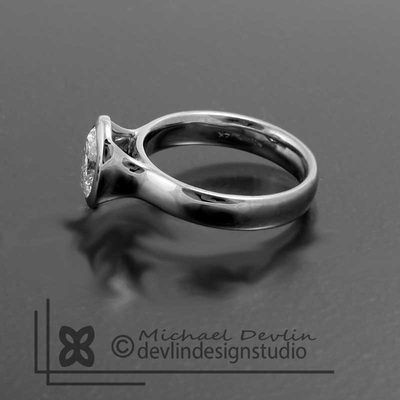 Platinum custom made wedding band, Michael Devlin Windsor california. tow ring mother rings, palladium and gemstones with diamonds. 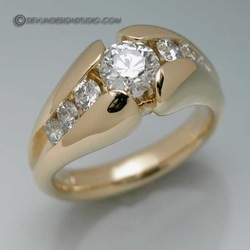 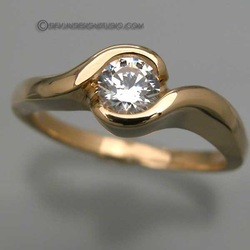 simpale bypass engagement ring with diamond, set in 14k yellow gold. 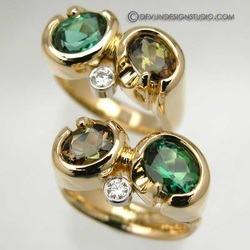 Couples matching rings, tourmaline's and diamond set in 18k gold. 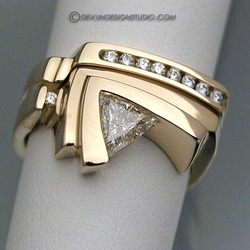 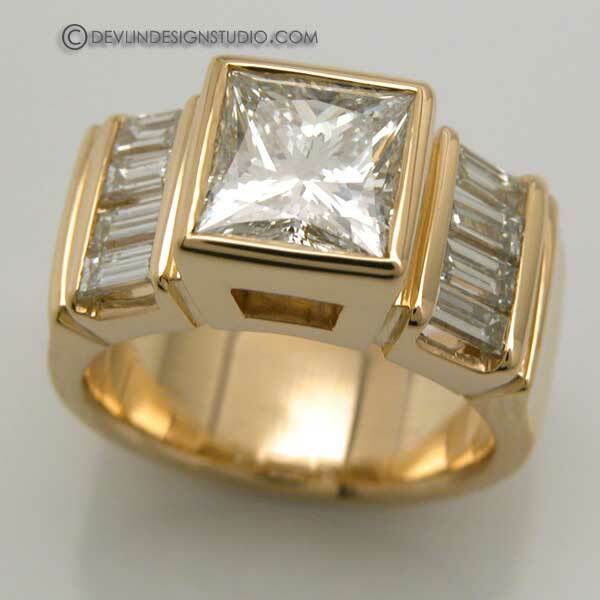 large princes cut diamond bezel set with Baguette diamonds, set in 18k yellow gold. 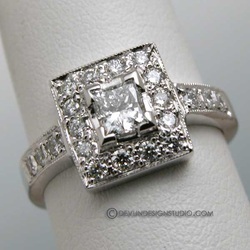 platinum and princess cut diamonds set in platinum. 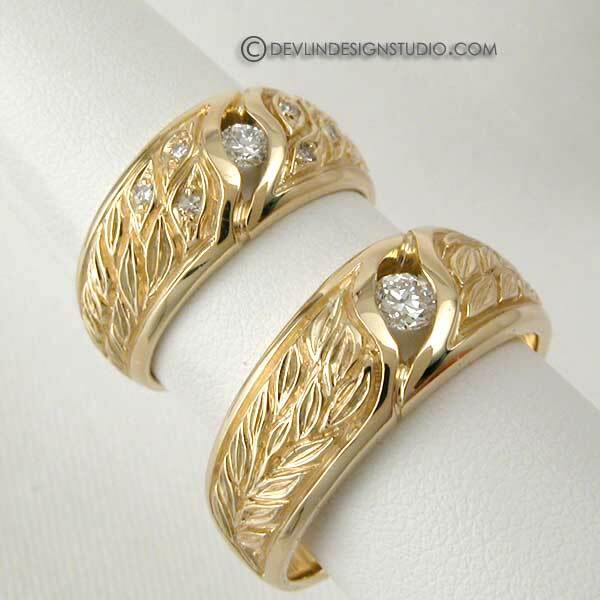 matching wedding rings, 14k gold with leaf design and one channel set diamond in each ring. 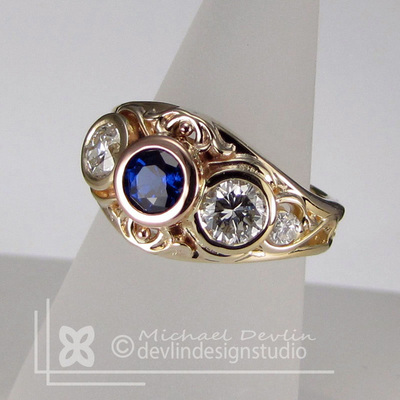 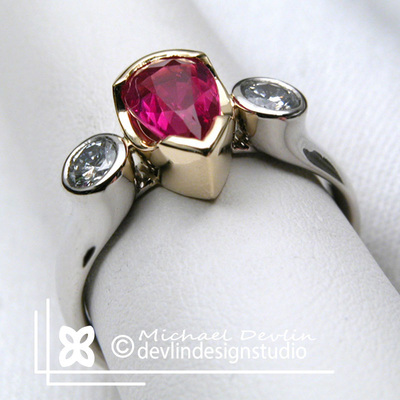 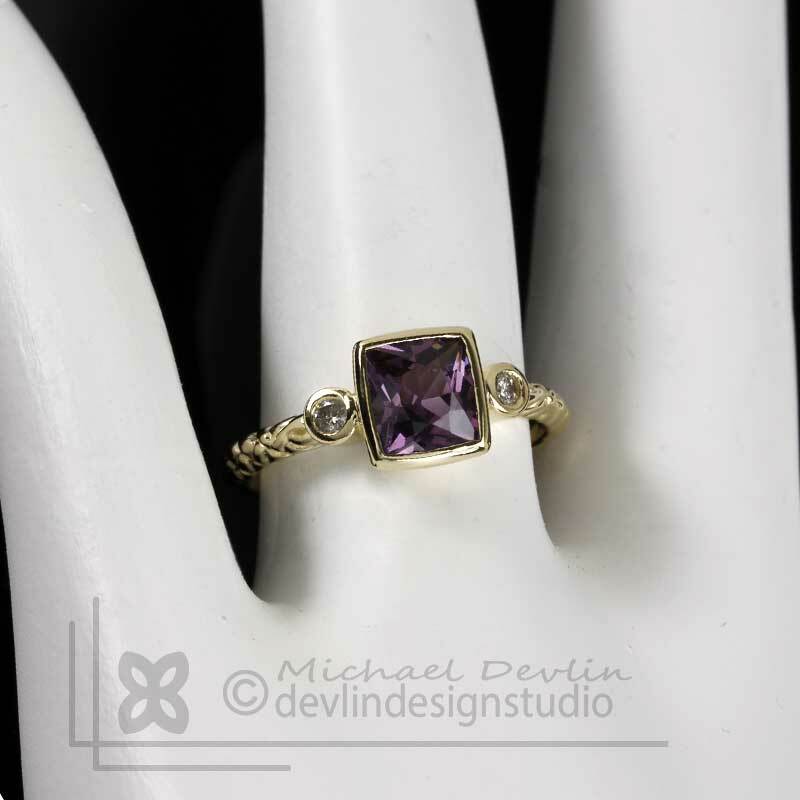 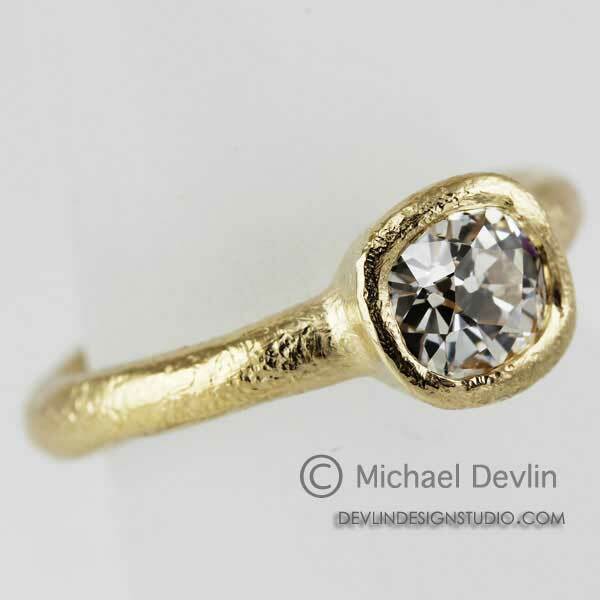 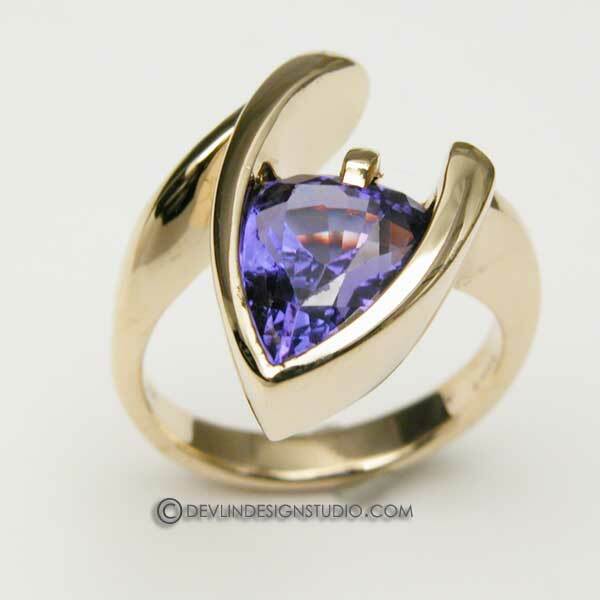 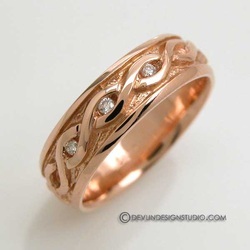 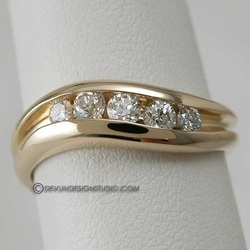 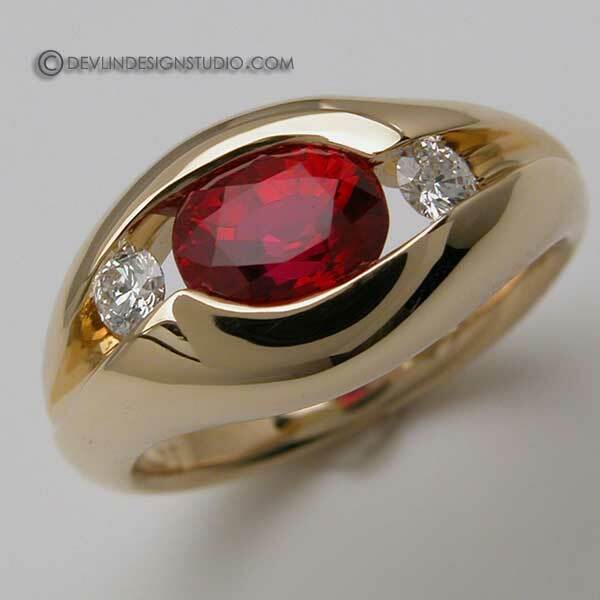 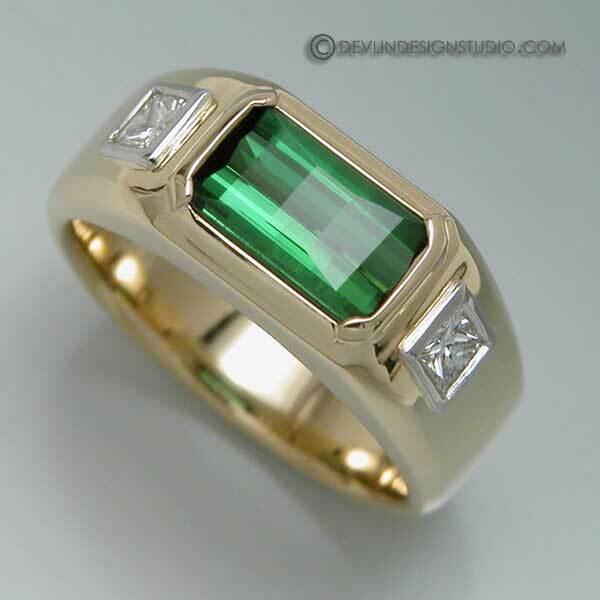 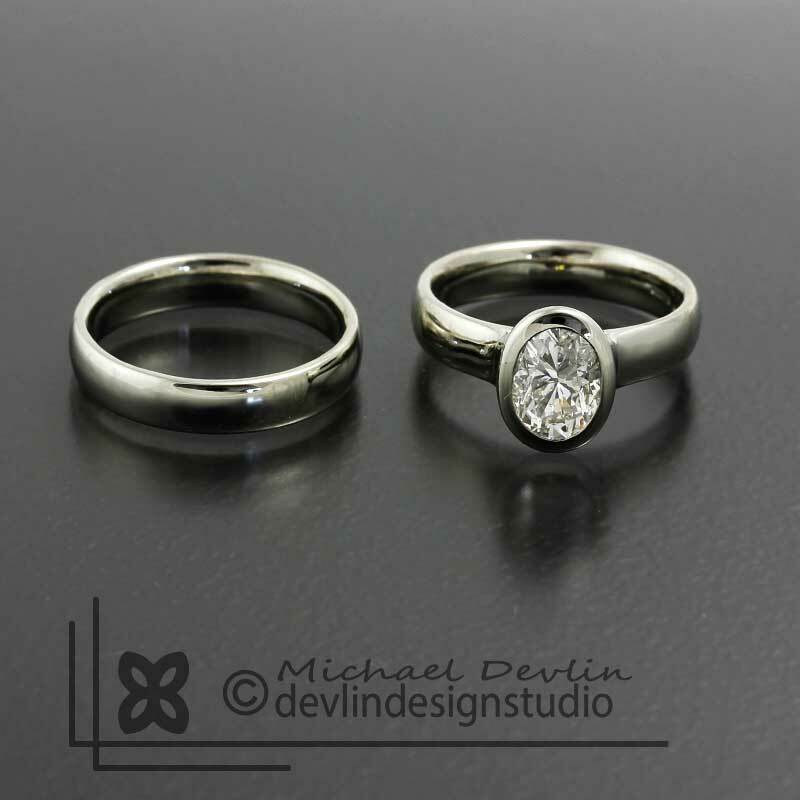 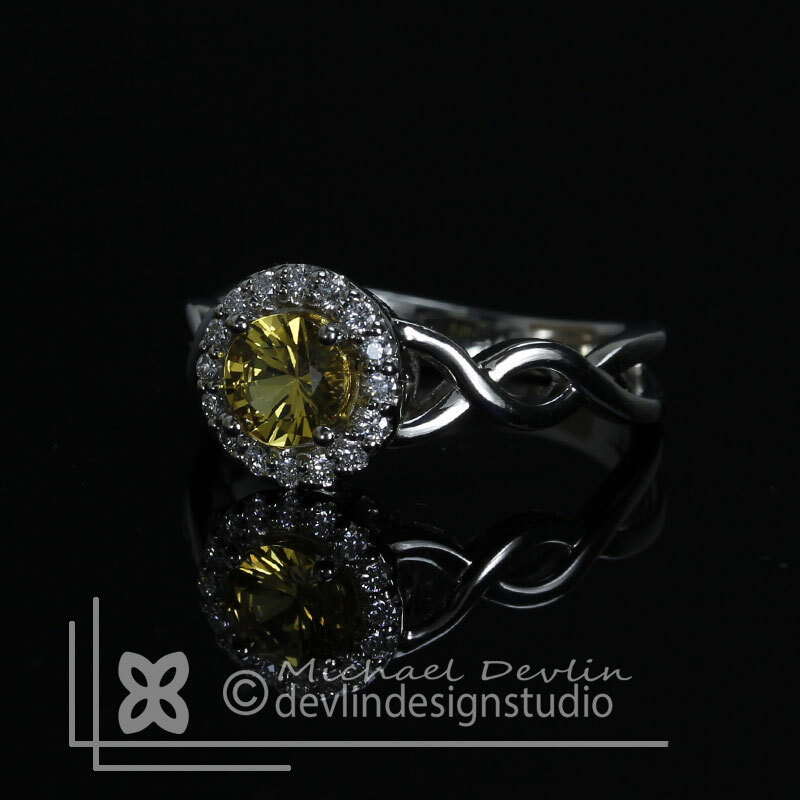 Made by goldsmith Michael Devlin Windsor California. 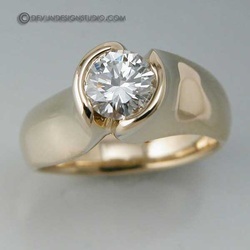 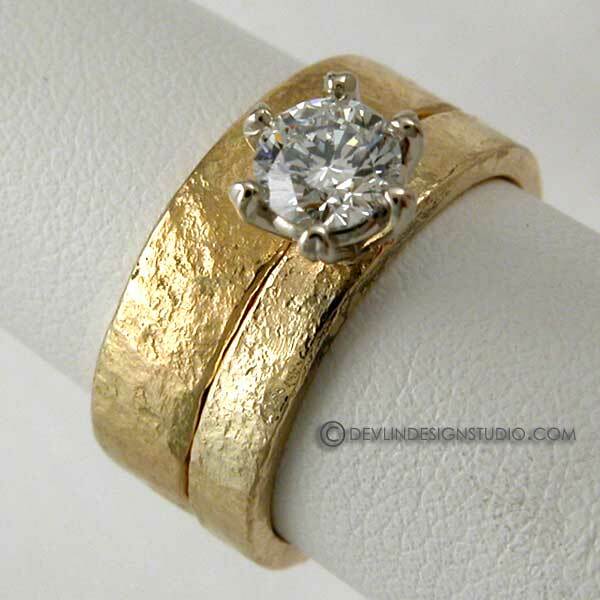 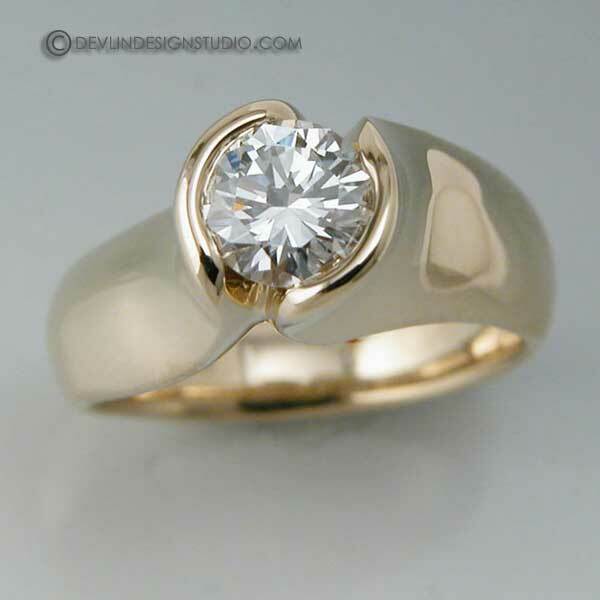 18k gold forged wedding wet with one diamond prong set. 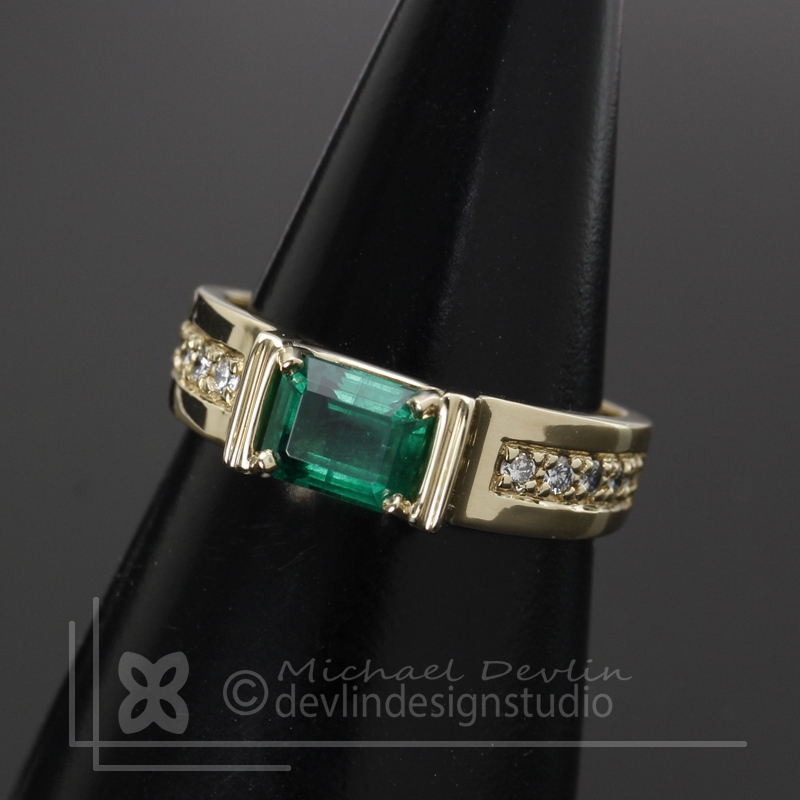 green tourmaline partial bezel and square diamonds with fill bezel set, 18ky and paltinum.